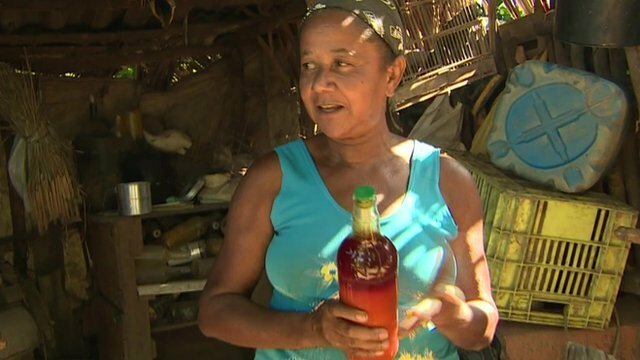 In the small community of Rio dos Macacos, in the north-eastern Brazilian state of Bahia, a tall, leafy jack tree stands as a living reminder of history. Residents say it grew around a pole where slaves used to be tied and beaten. A rusty chain still hangs from its thick trunk, a chilling witness to the past. “According to our elders, this is where our ancestors were chained and whipped. 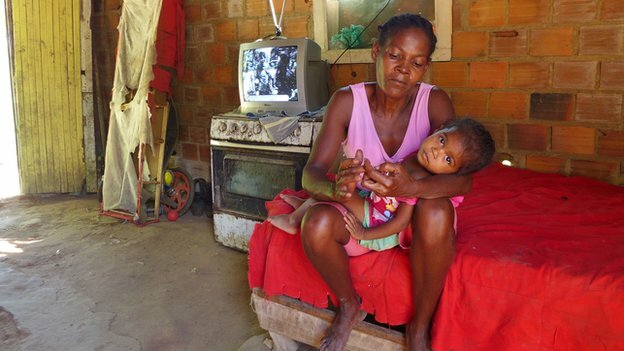 It’s where our old men suffered,” says Rosimeire dos Santos Silva, one of the community’s leaders. Rio dos Macacos, home to 67 families, is one of Brazil’s quilombos – communities started by former slaves before forced labour was prohibited in Brazil in 1888. According to Fundacao Palmares, a government-funded cultural organisation, there are more than 2,400 quilombos across the country. Many still keep alive the traditions of their ancestors, such as African dance forms and forms of worship. Quilombos were mainly formed by runaway slaves who went to live in hiding, surviving as best as they could by working the land. But in Rio dos Macacos, an hour’s drive from the state capital, Salvador, the story is different. Ms Silva says their ancestors were brought from Africa to work as slaves in the area’s sugarcane fields up to 200 years ago. But even after slavery was abolished, elders say their ancestors had few rights. For a long time, they continued to work the sugarcane fields not for pay, but in return for food and housing. 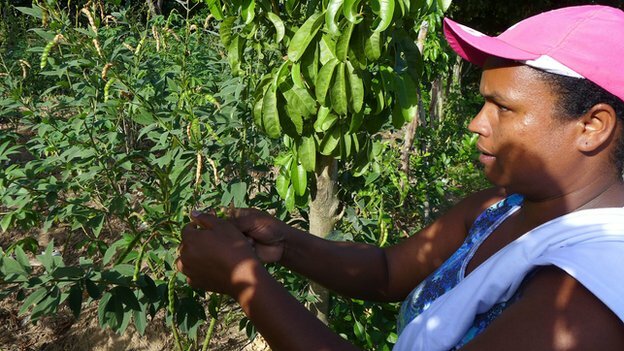 It was only after the local farms went into decline, that the quilombolas – as quilombo residents are known – were allowed to harvest some of the fields and keep the proceeds for themselves. But no land was ever formally given to them – an omission which is at the root of at their current problems. Rio dos Macacos has become one of the most emblematic cases of the battle of quilombolas for land, with the community embroiled in a lengthy and tense dispute with the navy. Brazil’s constitution – signed in 1988, 100 years after slavery was abolished – ruled that quilombolas were entitled to the land they had historically occupied. But this has not always been the case in practice. Since 1988, only 207 quilombos have been issued with property titles. More than 1,200 requests have still to be dealt with, according to figures from the Fundacao Palmares. It is a long and complicated legal process, which often pitches the quilombos, generally very poor communities, against big landowners. In the case of Rio dos Macacos, the quilombo is in conflict with the Brazilian state itself. The navy built a naval base in the area in the 1950, and as the base grew, the area where quilombolas lived shrank, local residents say. Today, the Aaratu Naval Base is the second largest in the country. One of the oldest residents, Maria de Souza Oliveira, 86, remembers how 70 families were moved to make way for a village built for the families of navy personnel in the 1970s. Nowadays, some 450 families live in the navy village, just across the Macacos river from the quilombo. “They kicked lots of people out and now they want the rest of us to leave. But I want to stay until I die,” she says. The land she lives on formally belongs to the state, but Dona Maria, as she is known, and the quilombolas say they are entitled to it under the constitution. But the navy says it needs the land to build a training centre for marines. The chief of staff at Brazil’s Ministry of Defence, Antonio Lessa, says the base is of strategic importance to national security. The law has so far backed the navy, but the legal battle has now reached the federal government in Brasilia. The government has offered the community 28 hectares (70 acres) of land in the area, on a plot some way away from where their houses currently stand. 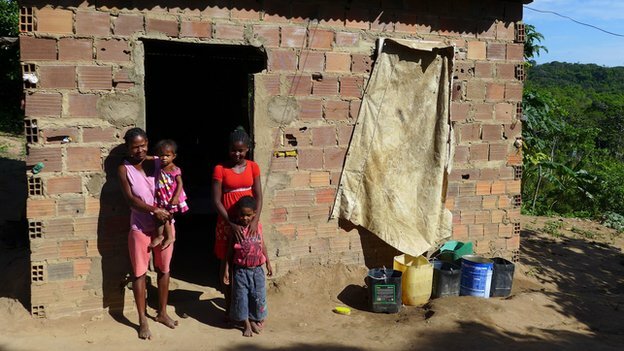 But the government authority in charge of overseeing quilombo land applications, the National Institute of Colonisation and Agrarian Reform (Incra), says the families are entitled to 10 times as much land. Incra’s report was taken to the federal capital Brasilia, but according to lawyer Mauricio Correa, who assists Rio de Macacos residents, it was “not allowed to be officially published”. “It was a political decision. The case was taken from Incra’s hands,” Mr Correa says. Community leader Rosimeire dos Santos Silva says the residents are coming under increasing pressure and have even been intimidated by navy personnel. “They harass our children on their way to school. And if we try to work the soil, we’re beaten up, they don’t let us. It’s like we’re still living in a slave house,” she says. Mr Lessa says the allegations have been investigated and no concrete evidence was found. He says the navy is keen to reach an agreement with the quilombolas. 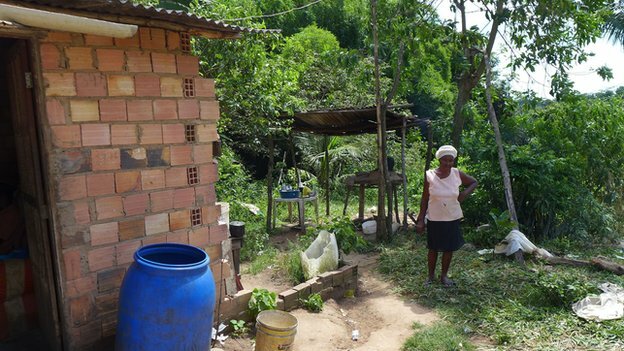 Without land titles and facing increasing uncertainty, many families have already left the quilombo over the past decades. But those still there say this is where they belong and have vowed to stand their ground.